Cattle Egrets take on a range of colors during the breeding season. As this bird exhibits, the iris of eye, the bill, and the legs become red for a brief period before pairing. 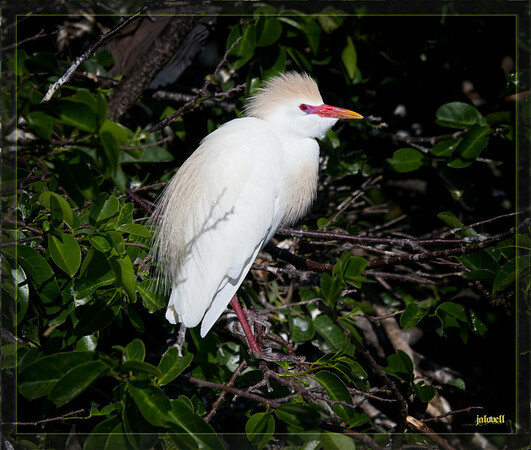 The nesting cattle egret will still have the orangy-buff plumage on its back, head and chest when the bright red fades.